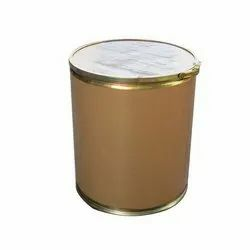 Our range of products include matrine 98% tc, veratrine 97% tc and rotenone 95% tc. 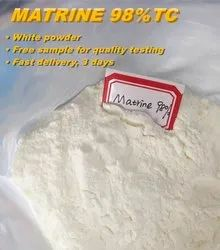 Matrine 90% TC (Botanic source insecticide-from the root of the Sophora, Flavescens, Ait. ). CAS Reg. : 519-02-8 Molecular formula: C15H24N2O Molecular weight: 248.36 Specification: 90% tc. 98% technical grade( white crystal powder) Solubility: Easy to soluble in water, ethanol, chloroform and toluol, benzene. Store: Cool, dry, shadow place. Easy to get wet in the air when uncovered, Shelf life: 3 years. 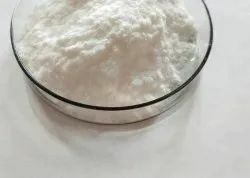 Formulation: 0.5%, 1.0%, 1.3% Matrine SL Function mechanism: The product exerts its function mainly by direct contact, subsidiary by stomach poison. Once pests touch it, their nervous systems are paralyzed immediately, then proteins of their bodies will denaturalize, finally they will die of breathlessness. Target pests: Bage worm, Cabbage moth, Rottemberg, Tea trees Tea caterpillar, tea geometrid Tobaccos Tobacco budworm, tobacco Aphid Dark-headed stem borer, Stripped stem borer, Rice leaf roller, Flowers Aphid, Red spider, Red spider, Aphid Grassland Armyworm, Features: 1. High efficiency, Broad spectrum, Low toxicity, Non residue and Green protectin to environment. 2. No bad odour and no influences on the quality of farm produces. 3. Containing abundant trace elements, which can stimulate crops to grow, become stronger, blossom, fructify and increase production. The Rotenone is one kind of vegetal insecticides, the pure green environmental protection biology agrochemical, distilling from the plant. The Rotenone is very strong against the pest to kill and is poisonous function against the stomach of pest, also can avoid the pest inbreak. It is effective to control the aphid, lepidopter, also to control somebeetles. Looking for BOTANICAL PESTICIDES TECHNICAL ?